Westlaw International is a global legal research library covering legal, news and business information, case law, legislation, law reviews, treaties and directories drawn from Sweet & Maxwell, Ellis Publications, Carswell and Westlaw. The collection is updated daily. Full text access to UK and EU cases, legislation and journals - please note: international materials from Australia, Canada, Hong Kong, Malaysia, New Zealand and United States are now available on Lexis Library International. Search the archive of case law from the official Law Reports series on ICLR Online (Incorporated Council of Law Reporting). Coverage of the Law Reports series includes case law from the first, second and third series of the Law Reports and typically includes Appeal Cases, Chancery, Probate, Family, Queens / King’s Bench. Access starts at 1865 and is updated daily. Other series covered by this database include: Weekly Law Reports, Business Law Reports and Industrial Cases Reports. Split your topic into keywords: To find better and fewer results, think about your keywords. Make sure they accurately describe what you are looking for, and add more keywords to make your search more specific. Think of alternative keywords: For example, 'young' could also be referred to as 'youth' or 'adolescent'. Or, think of the bigger picture. For example, instead of searching for 'boys' or 'girls', try searching for 'gender'. Search for phrases in "double quotation marks": For example, "special educational needs". This will search for the phrase as a whole, instead of the individual words. Select a data range: For example, you may only want literature published since 2010. Most databases have the option to select dates. 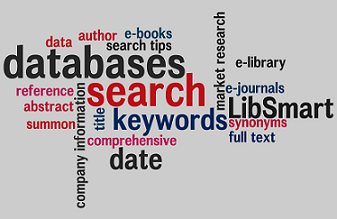 For more help see our Finding resources guide, or contact your Librarian.